* One FREE RAIN-SENSOR with every new installation ($50.00 value). * One FREE LIGHTING FIXTURE with landscape lighting installation ($100.00 value). 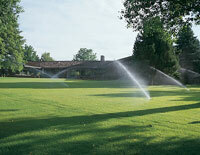 Save water, money, and have a healthier landscape.